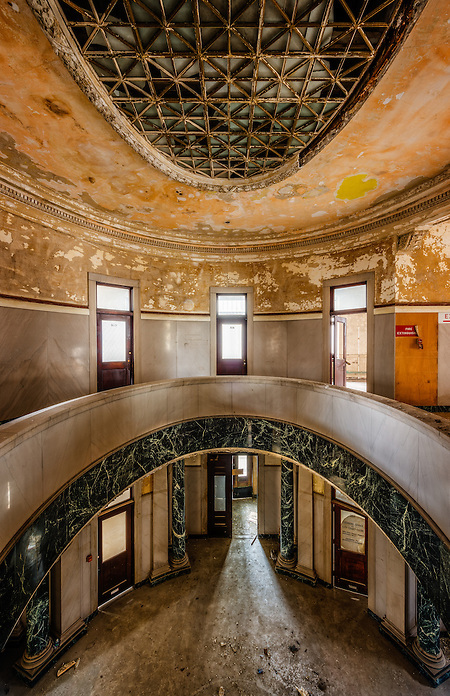 In the heart of downtown Memphis, the abandoned Central Police Station stands as a testament to the pride and craftsmanship that was once put into the construction of our public buildings. 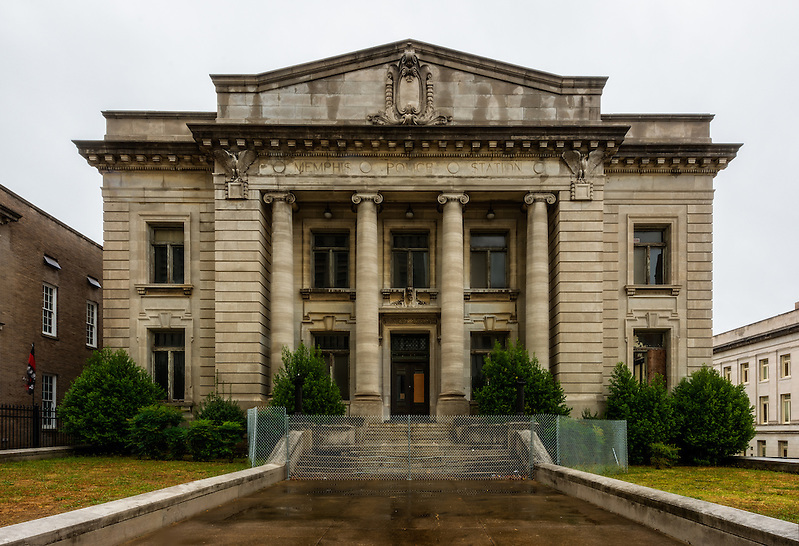 In 1911, shortly after the construction of the Shelby County Courthouse, Mayor E.H. Crump (a former fire and police commissioner), commissioned the construction of Fire Station One, and the Memphis Central Police Station. 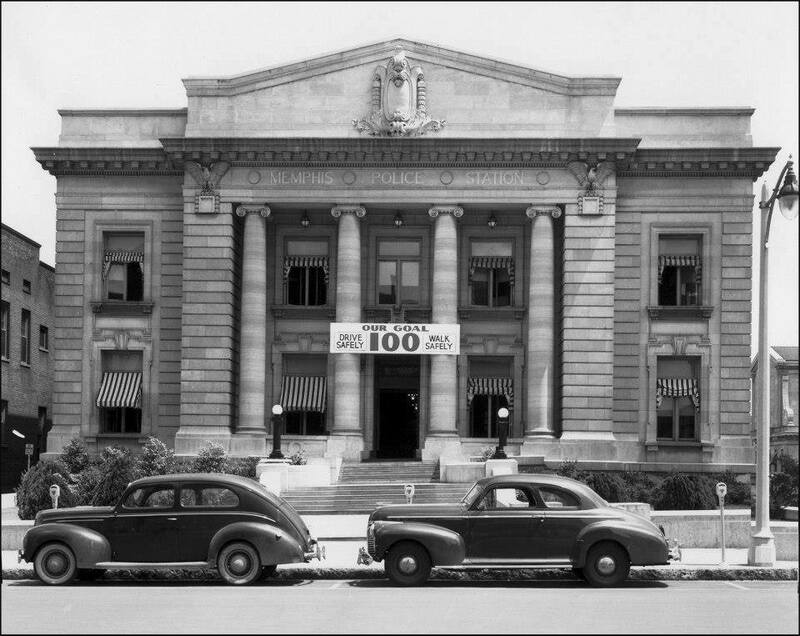 Sitting side by side, these neo-classical buildings were constructed with the intent to elevate the status of the department, and create a monumental group of inspiring public buildings. 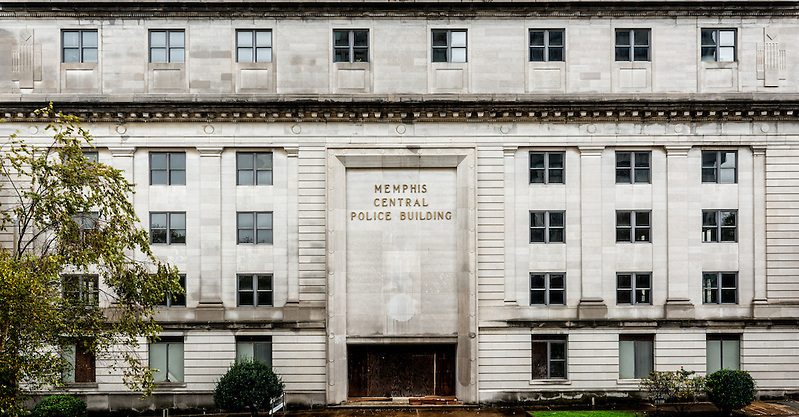 During this time, the Memphis police department was evolving rapidly. The police force was expanded to 185 officers, a telephone and telegraph system was installed, new metropolitan style uniforms and helmets were purchased, and a mounted police unit was employed. Around this time, improvements in transportation technology also brought changes to the department. A bicycle squad was implemented for added mobility. 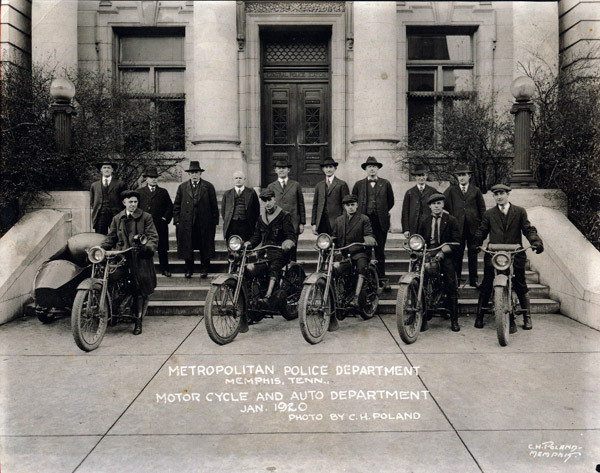 The first use of motorcycles began at this time as the department purchased its first two motorcycles and began to build up its mobile patrol capabilities. In 1912, the first two motorized patrol wagons were acquired, one was electric and the other gasoline. By 1920 the horse-drawn buggies that supervisors used to oversee foot patrols were replaced, and sergeants were assigned Model-T Fords. Memphis was not the safest place to live during this time. “In 1927 the city’s murder rate was 69.3 per 100,000 population, the highest in the country. 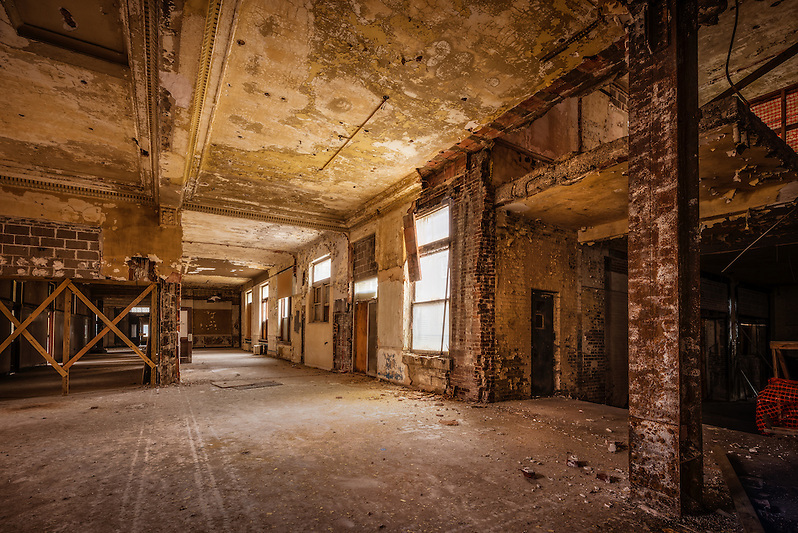 In comparison, Chicago, then controlled by Al Capone, had a murder rate of only 13.3 per 100,000.” (Wikipedia) In 1932, Memphis received international notoriety when it was named “The Murder Capital of the World.” There were 102 homicides that year. In the 1968, Memphis became a hub for the Civil Rights Movement when the long pattern of abuse and neglect of its black workers sparked the Sanitation Workers Strike. Dr. Martin Luther King Jr, used the historic Clayborn Temple as a staging area for his protest marches. 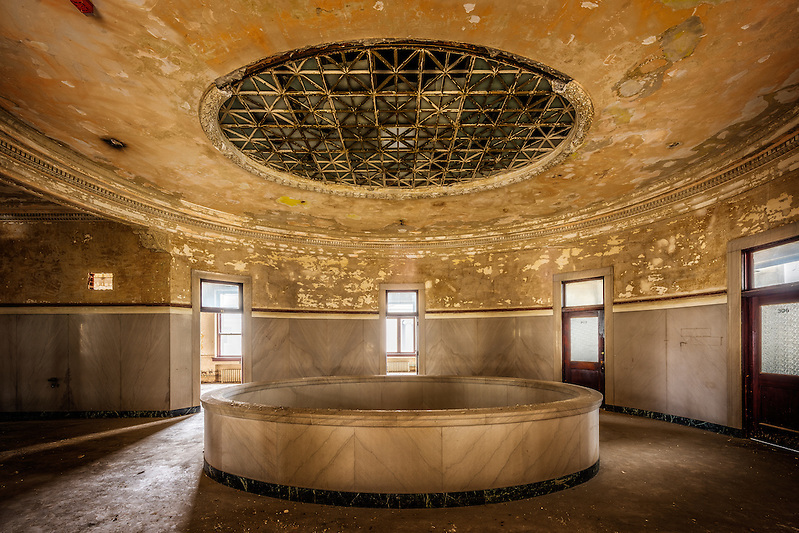 Click HERE to see the photos and read the history of the now abandoned Clayborn Temple. On April 4th, 1968, an event that rocked the entire nation occurred when Dr. Martin Luther King Jr stepped onto his balcony at the Lorraine Motel and was assassinated by James Earl Ray. Riots followed, not only in Memphis but across the nation, and the Memphis PD responded by upgrading its emergency squad to a sixty man Special Services unit, implementing a Crime Scene Squad in order to scientifically gather evidence, and training five four-man Sniper Squads. 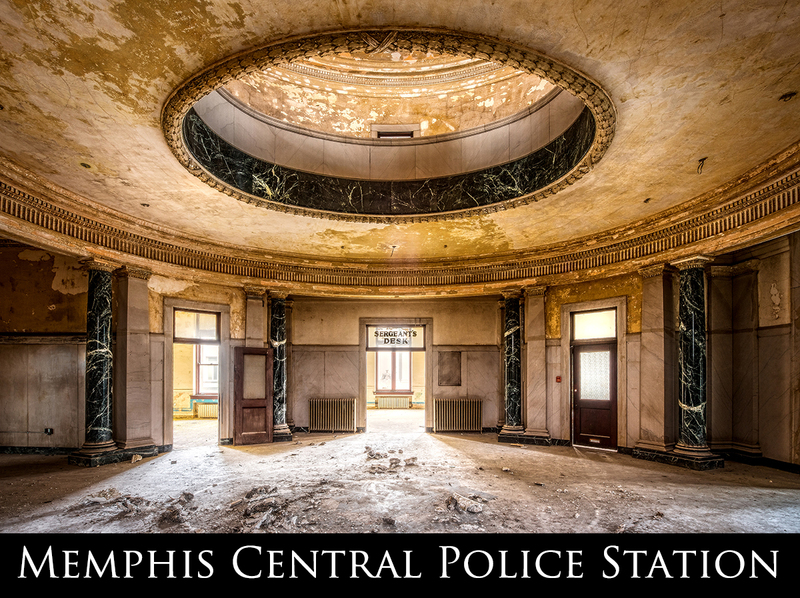 Memphis Central Police Station continued its operations until it closed in 1982. 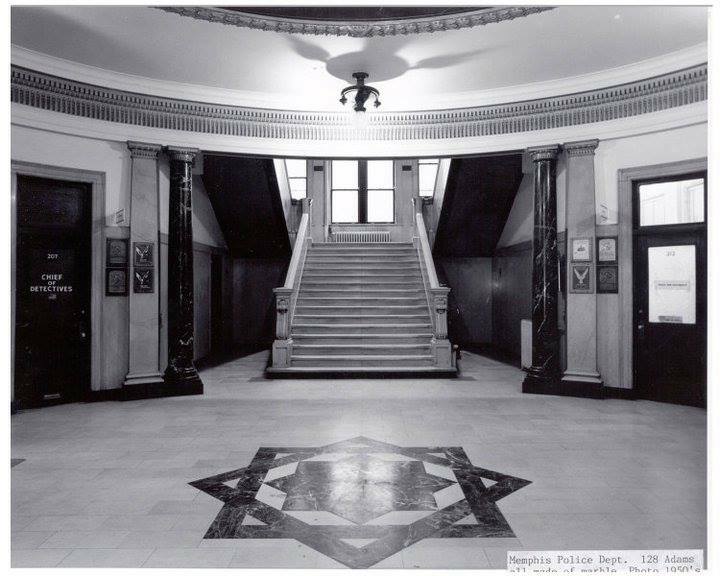 Financial concerns and overcrowding caused the headquarters to close, and move to the present location on 201 Poplar. 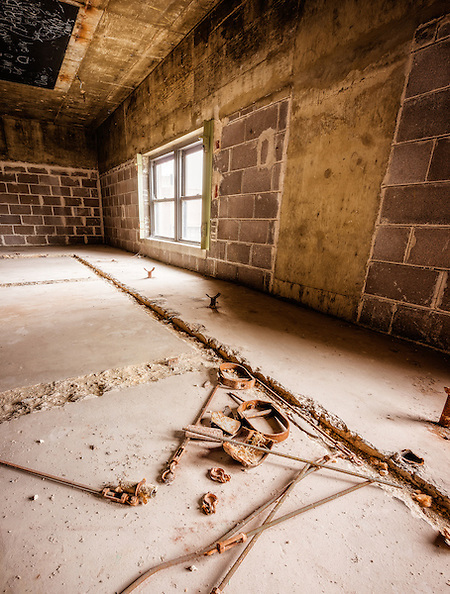 It would have cost the city $40,000,000 to renovate it, whereas abandoning it only cost them around $3000 a month. 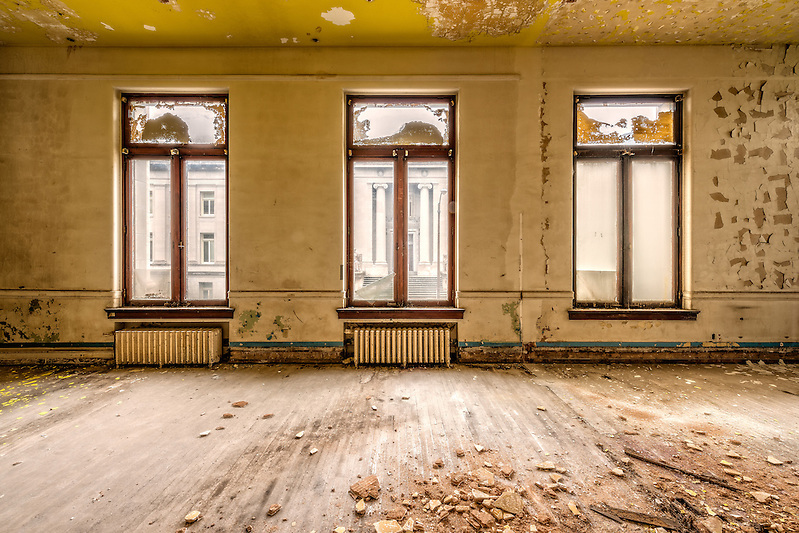 For over 30 years it has sat dormant, its interior façade slowly succumbing to the elements and time. 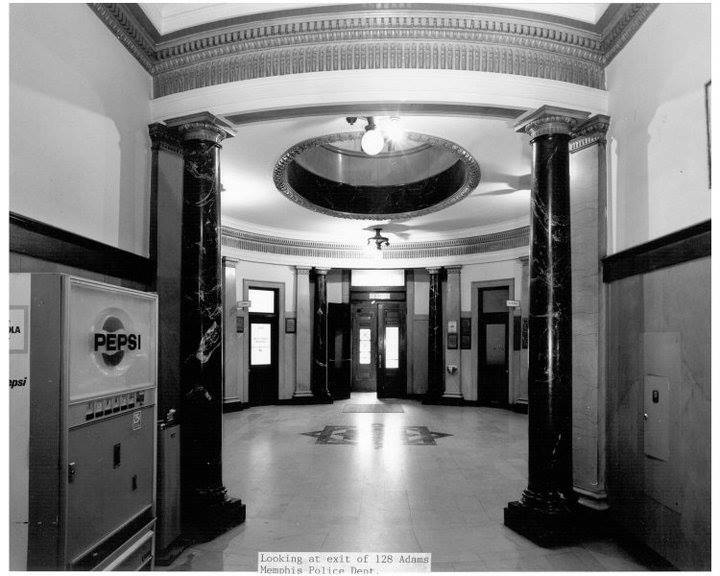 The station has recently made headlines when plans to renovate it into a boutique hotel were presented to the City Council in early 2016. The Council is currently taking bids on the property, with the highest bidder weighing in at $1.6 Million. The future of the building will be determined over the coming months. 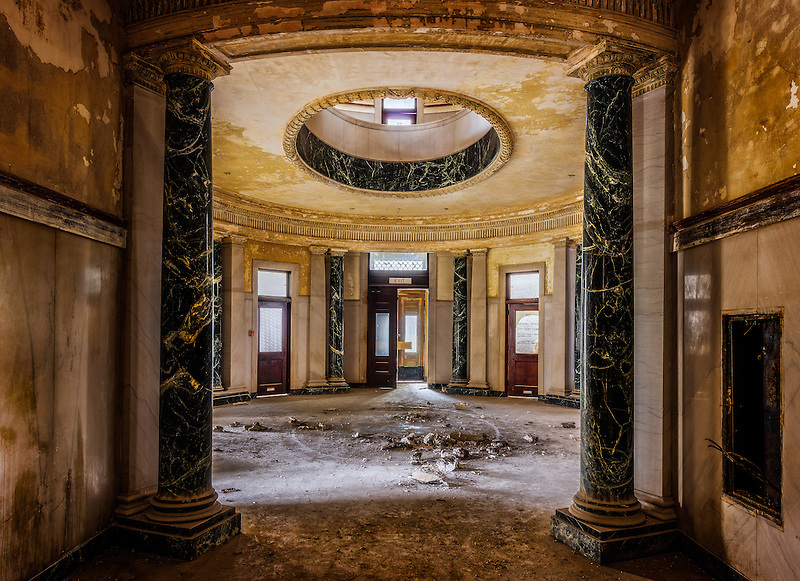 I would like to extend special thanks to June West at Memphis Heritage for her help in getting me access to this location, and to the City of Memphis for their time and willingness in allowing me access to document this beautiful historic building. 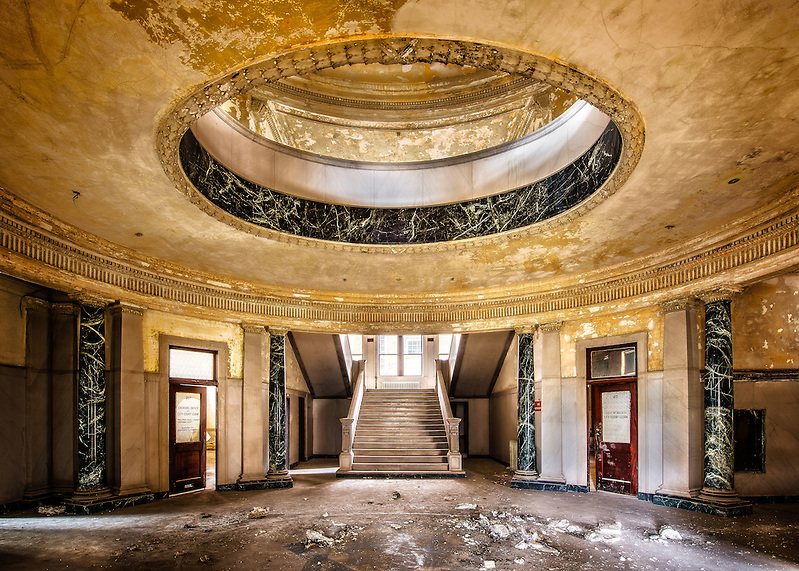 To become a member of Memphis Heritage and join their efforts of giving Memphis’ Past a Future, click here to visit their website. 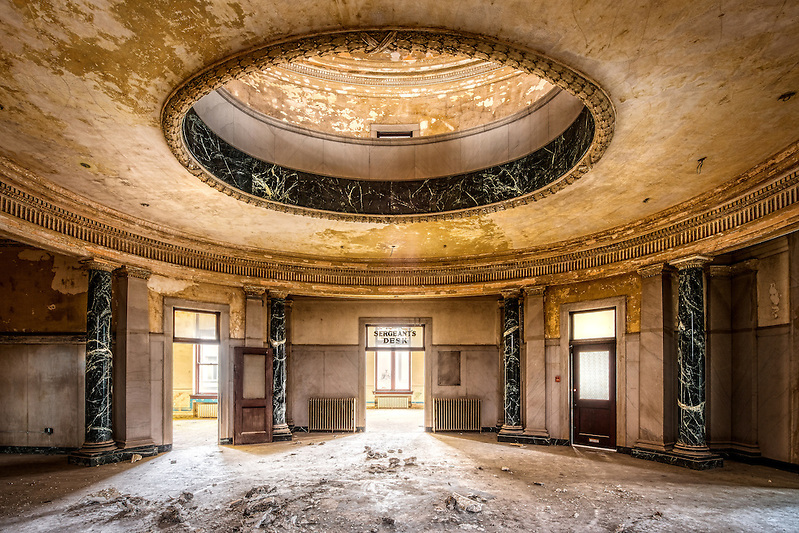 It is a beautiful building and I am sure the owners will restore the building and make it into a beautiful hotel. However, the area around Central Police Station is about to be developed and the Loews hotel is going on the same block, I would hope the owners consider, in developing this property, adding a 20-25 story tower, to this building that would complement this historical relic. Then create a courtyard in between the hotels and add a multiuse public ice skating rink. I was noticing yesterday that it was a beautiful building while walking by. On previous trips, I hadn’t noticed that it was abandoned. Refurbishing it would be fantastic. 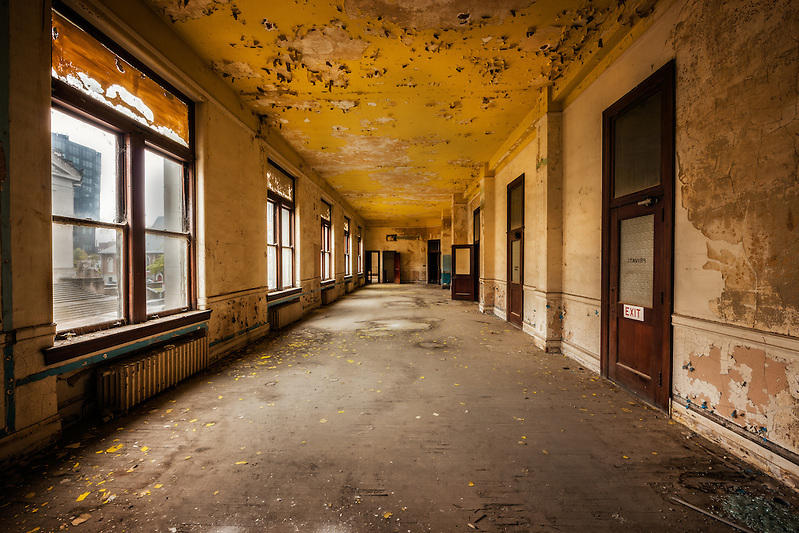 It would be nice to see this grand old building turned into a police museum.